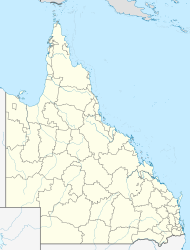 Cooktown is the northernmost town on the east coast of Australia. In 2006, there were 2093 people living in the town. It is at the mouth of the Endeavour River, on Cape York Peninsula in north Queensland. Cooktown is named after the English explorer, Captain James Cook, and the Endeavour River is named after his ship, the Endeavour. Its population of 2000 doubles each June as the community re-enact Cook’s historic landing, complete with replica ship, cannon fire and period costume. ↑ Australian Bureau of Statistics (27 June 2017). 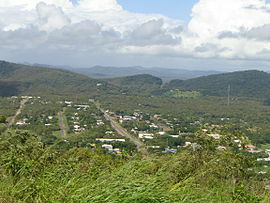 "Cooktown (State Suburb)". 2016 Census QuickStats. Retrieved 23 January 2018. This page was last changed on 25 January 2018, at 18:02.